Serving as both a stand-alone story in the WYTCHES world and a prequel to the highly anticipated WYTCHES, VOL. 2, "BAD EGG" tells the story of Seb and Jackson-two innocent teenagers reared on opposite sides of the eternal struggle between good and evil. Sebastian's mother is a member of "The Irons," the most ruthless Wytch hunters in history, while Jackson's family are "High Horn" Wytches. Can these two boys find friendship amidst this age-old blood feud, or are their fates already sealed? 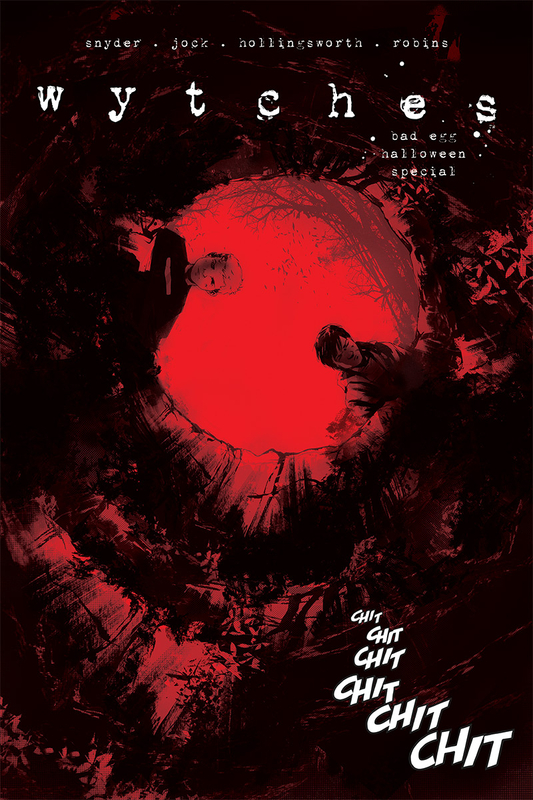 Collecting the entire IMAGE+ magazine run and, for the first time, the 13-page, pulse-pounding conclusion plus extra materials, WYTCHES: BAD EGG reunites the Eisner-award winning duo of SCOTT SNYDER and JOCK in a horror-filled romp just in time for Halloween!